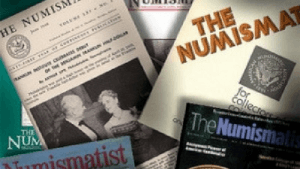 Explore every issue of The Numismatist -- over 128 volumes -- from 1888 to present day. Enjoy this online collection of articles written by hobbyists from the United States and around the world. 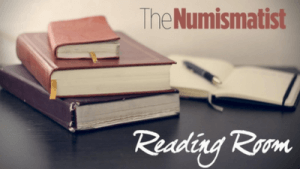 Take The Numismatist with you anywhere with these free downloads for your mobile devices and tablets. Find answers to common subscriber questions here. All articles should be sent to the attention of Editor Barbara Gregory at gregory@money.org. Also, be sure to check out our submission guidelines. Advertise in the finest publication in the hobby! Click the links below to view rates. 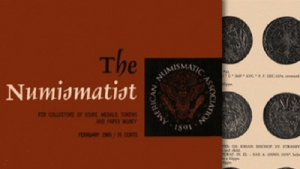 Having Trouble Viewing The Numismatist? A broadband connection is required to view our digital editions. 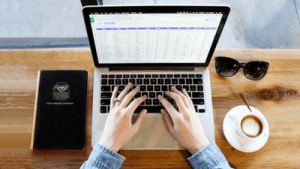 Due to the nature of our digital publishing platform, dial-up connections simply do not have enough bandwidth to achieve a satisfactory reader experience. 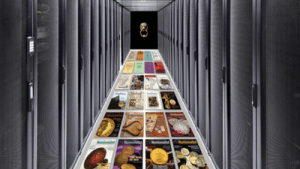 The American Numismatic Association is in the process of shifting to "HTML5 Viewer." The viewer is a compatibility upgrade and brings a new look and a new menu. You don’t need any plugins (such as Flash or other software) beyond your modern Internet browser; pages are larger and toolbars can be hidden when not in use. A pop-up tutorial will guide you the first time you access the magazine online in the new format. HTML5 Viewer should be compatible with all new platforms, including Apple iOS, which did not support the Flash plugin. You now will have a unified viewing experience across all browsers, regardless of the device. HTML5 Viewer also will provide an enhanced viewing experience for mobile phone users. 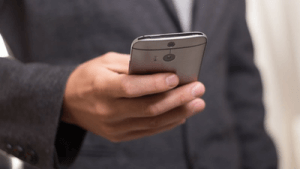 Articles always have been available in a text-only (“Contents View”) format, but now phone browsers will default to text, while computer and tablet users will see the fully-formatted pages first. All modern web browsers support HTML5, including Chrome, Firefox, Safari and Internet Explorer. 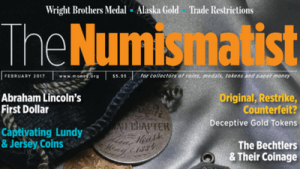 You should be able to access The Numismatist on any computer, as well as on mobile devices such as iPhones, iPads, Android devices, tablets and smartphones. The HTML5 navigation experience will continue to provide you with pinch and reverse-pinch zoom; URL links; article and page-to-page links; full-screen mode; orientation handling/adaptive layout for mobile devices; and left/right navigation buttons for non-touch devices. Print functionality will enable readers to output the entire magazine, a single page, or a specific range of pages. If you are accessing our website through a firewall or proxy, check with your network administrator to determine if cookies are permitted. If you are using a proxy (depending on your settings), you may not always be viewing the most current version of the publication platform. If you have installed a pop-up blocker, it can affect some platform functionality. Our viewer requires a minimum resolution of 1024X768. Higher resolutions are supported and recommended.